Home Tools/Accessories Current Makeup Brushes and Book Favorites. Current Makeup Brushes and Book Favorites. As promised I will continue with my current favorite products. For this captivating post I will bestow upon you my Current Makeup Brushes and Book Favorites. I hope you will find my selections helpful and informative. *click on each item for a direct link to the product. Tom Ford Bronzer Brush: (reviewed here) This bronzer brush is the Roles Royce of bronzer brushes. It easily buffs the most pigmented bronzer to utter perfection. Tom Ford Cheek Brush: (reviewed here) This brush is so soft and dense it will transform the most underwhelming blushes into stunning hues on the cheeks. Tom Ford Cream Foundation Brush: This guy is not my favorite for my Estee Lauder Double Wear Foundation. I suspect it will work spectacularly with cream products in general. I utilize this brush for highlighter application. Philosophy Supernatural Airbrush Brush: I have had this brush for five years and it has never shed or lost its soft, silky texture. Nothing buffs my EL Double Wear foundation like this beauty. Remember to dampen the brush slightly before buffing in your foundation to achieve a flawless face! Burberry No.9 Brush: This brush allows me to apply my crease color with such subtlety and blends out any harsh edges to perfection. MAC #224 is similar in size and shape, but Burberry wins hands down for quality and softness. Smashbox #7 Tapered Shadow Brush: I like to use this brush for an all over application for my MAC Mineralized Skinfinish Natural on my lids. Its large soft bristles gets the job done in one speedy swipe. Billy B Brushes #8, #12, #11: (reviewed here) Absolute Love! Estee Lauder #12 Eyeliner/BrowBrush: Basic angled liner brush that does what it is intended to do. The MAC #266 is similar. Laura Mercier Angled Liner Brush: I love the tapered tip, the angled ferrule, and the shorter handle on this brush. It has given me the magical ability to create the cleanest application and precise ending flick to my liner. 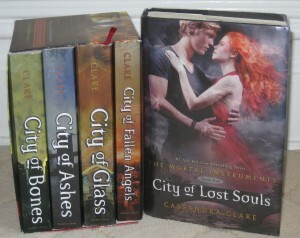 Current Book Favorites: The Mortal Instruments by Cassandra Clare. 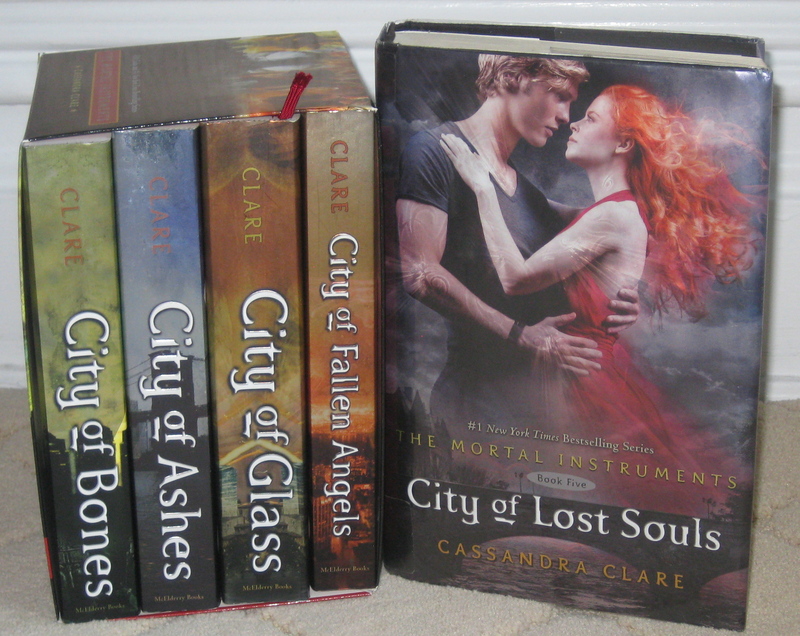 The Mortal Instruments Series: by Cassandra Clare: As an incentive to get my eldest son to read, I have imposed a private book club assignment between the two of us. The prize at the end of this literary rainbow, is the viewing of the movie The Mortal Instruments: City of Bones coming out August 21th (view movie trailer here). This is a fast paced read for young adult/adult. There is something really cute about discussing what happened in each book with your child that makes the whole experience even more enjoyable. Check out this wonderful series as a little makeup for your mind! 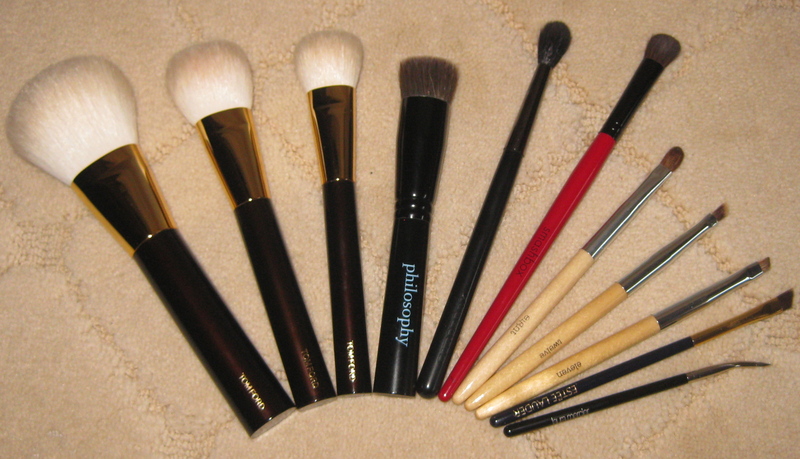 Makeup would tell you these brushes are truly used everyday. Of course, if you have any brush suggestions that are worthy of sharing, please do so in the comments. I would love to read about some of your favorites. In addition, not only should we take care of our appearance, but the brain needs to thrive as well. Try to read as much as possible everyday to keep your mind as sharp as a tack 🙂 Be well and stay safe. *Ifmakeupcouldtalk.com is not affiliated with any brands mentioned and all products were purchased by me. Compensation is not given for any reviews. Chanel Rouge Allure Ink 154 Experimente and 150 Luxuriant review. Dose of Colors Truffle and Stone Matte Liquid Lipstick review, swatches and lip combos.